Chickpeas can easily be cooked in an Instant Pot in a fraction of the time. Cooking your chickpeas is also so much more affordable than buying canned chickpeas. Learn how to cook chickpeas in an Instant Pot below! I bought an Instant Pot a few months ago and it’s been a complete game-changer for me. If you follow me on Instagram Stories, you probably saw how excited I was about it when I first started using it – I shared a good 20 Stories about various cooking adventures with it. Over the last few months, I’ve completely stopped using the Indian pressure cooker my mom gave me back when I headed for grad school (which was a very long time ago) and now only use the Instant Pot. You can read more about why I got an Instant Pot in my Instant Pot Lentil Soup post (I go into plenty of detail there, for anyone considering buying one). How to Cook Chickpeas in an Instant Pot? Voila! And there you have it – cooked chickpeas. And if you don’t care to soak them (but I highly recommend it, keep reading), just go straight to step 3 but cook them for 30 minutes on the “pressure cooking” (on high) setting. Doesn’t get any easier, right? And unlike a traditional stovetop cooker pressure (if you’ve had the excitement of owning one), you don’t have to monitor the Instant Pot closely once you set it. Wait, what about Canned Chickpeas? I’d be the first to admit I’ve always loved the convenience of canned chickpeas. Usually costing around $1-$2 a can (depending on the brand you buy), all I need to do is open, rinse, drain, and pour — how easy it that? Of course, I’d opt for the BPA-free lining and organic cans of chickpeas. But ever since I got my Instant Pot, things have changed quite a bit. It’s so easy to cook my chickpeas – for a fraction of the time and half the cost. 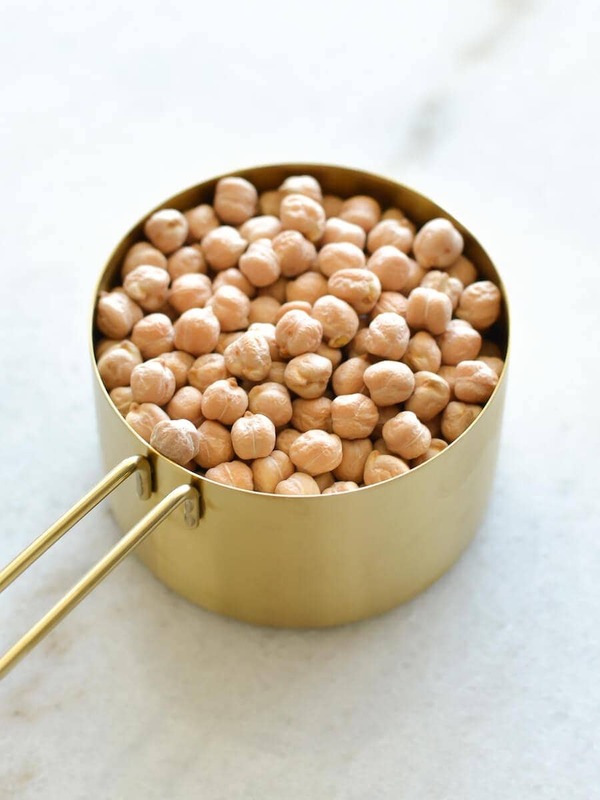 One cup of dried chickpeas make about 3 cups of cooked chickpeas and take about 15 minutes in the Instant Pot (that doesn’t include the 10 minutes it takes to build up the pressure and another 10 minutes to release pressure) if you soak them or else 30 minutes if you decide to skip soaking. I’ll make a cup on Sundays and then use the 3 cups it makes throughout the week in my bowls and other dishes (like my chickpea curry nourish bowl). And personally, I think they taste so much better! Plus I don’t have to worry about preservatives, checking for BPA linings on the cans, and how long they’ve been sitting on the shelf. If you have an Instant Pot, then you have to try cooking chickpeas! Since it’s so easy to take some dried chickpeas and soak them in water the night before, I always opt for soaking. Plus soaking your chickpeas is great for so many reasons. First of all, it reduces the amount of time it takes to cook the chickpeas. Next, it allows the chickpeas to “sprout”, making it easier to digest (aka less bloating and other digestion issues related to beans in general). I highly suggest soaking all beans before cooking them. Your tummy will thank you. Using dried chickpeas is so much more affordable than buying canned chickpeas. It also doesn’t contain any preservatives or chemicals you don’t want in your body. 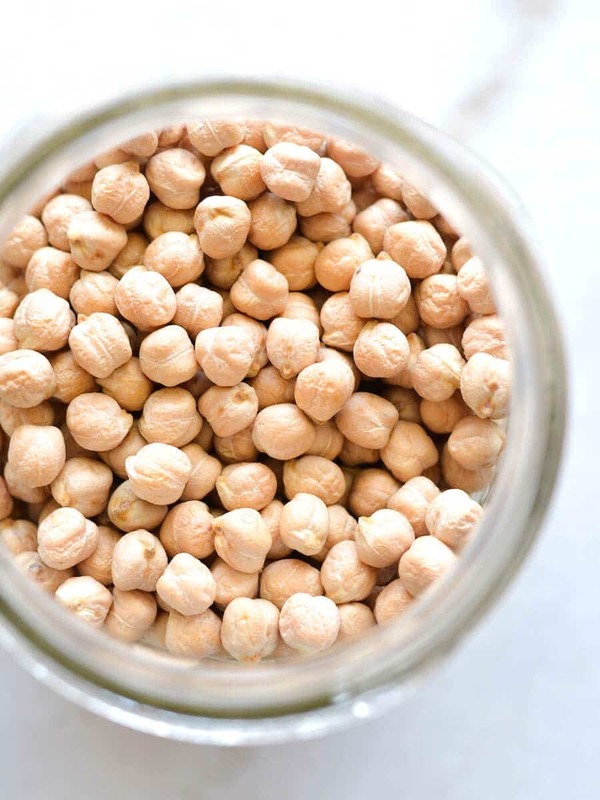 If you’d like to first sprout the chickpeas, combine the dried chickpeas with 3-4 cups of water in a large bowl. Let them soak overnight or for at least 8 hours. The chickpeas will expand in size as they absorb the water. Rinse them well with water and drain. If you’re in a hurry and don’t have to the time to do so, skip to the next step! 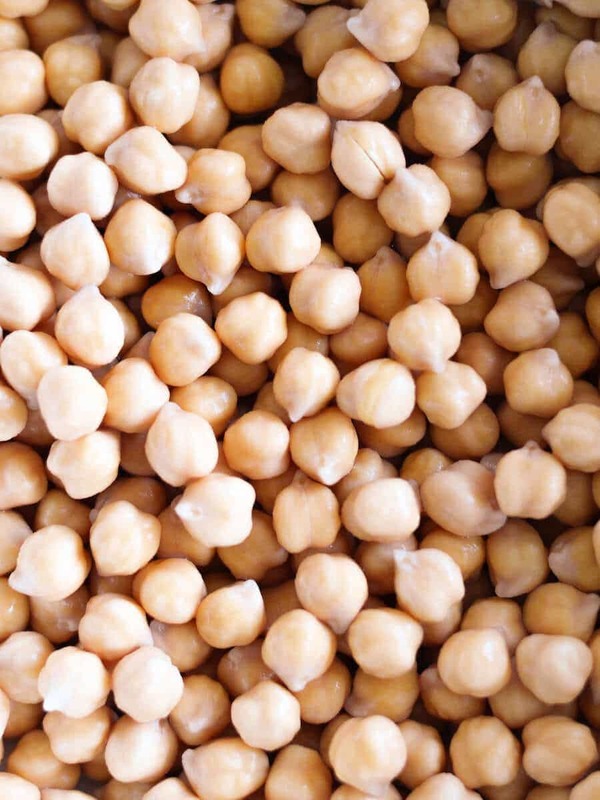 Pour the chickpeas into the Instant Pot and add 4 cups of water. Close the Instant Pot and plug it in. Hit the “Pressure Cooking” setting and set the timer for 15 minutes if you soaked them (or else 30 minutes if you didn’t soak them). Once the Instant Pot is done cooking the chickpeas, let the pressure release on its own. Once the pressure releases, open the Instant Pot and drain the chickpeas (I suggest letting them cool for a bit so you don’t hurt yourself). The chickpeas are now ready to use in whatever recipe you’d like! My instant pot gets here in a few days. I can’t wait to try cooking beans in it now! I’m so excited for you, Chelsea!! You’re going to love it! So simple and my chickpeas turned out perfectly cooked. Thanks! Yay! So happy to hear that! trying this with the fatteh today, my mouth is already watering!! Do you take the skins off after you cook them? I usually do that when making hummus but it’s hard if the check peas are too mushy. I occasionally do if I’m making hummus! Hi, welcome to Real + Vibrant! 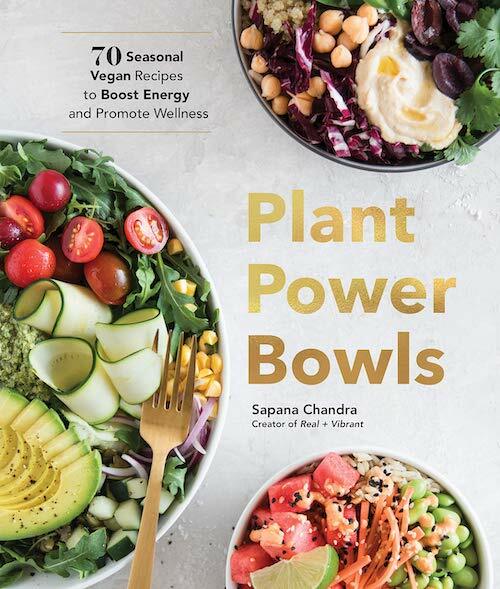 My name is Sapana (“Sup-na”) and I’m a professional plant-based cook and author of Plant Power Bowls. After suffering from chronic illness for most of my adult life, I healed myself with real food. Here you’ll find deliciously plant-powered recipes you’ll be excited to enjoy and share with your loved ones. To learn more about me, click here!